Security has been heightened in Bhopal ahead of Prime Minister Narendra Modi's visit to the city today. Speaking to ANI, Inspector General of Police (Intelligence) Makrand Deuskar, said, "5,000 police personnel will be deployed. Bhopal police has done elaborate planning on traffic. The Prime Minister is Special Protection Group (SPG) protectee and security arrangements will be done accordingly." 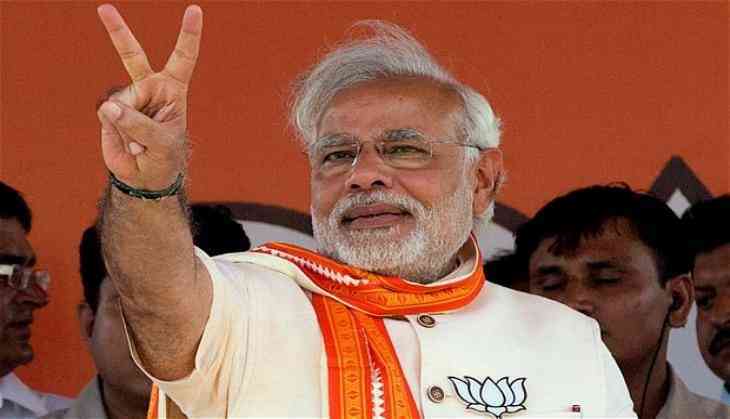 Prime Minister Modi will address a massive congregation of Bharatiya Janata Party (BJP) workers at Karyakarta Mahakumbh in Bhopal. The programme is being organised at Jamboori Maidan in BHEL to mark the birth anniversary of party ideologue and co-founder of Janasangh, Pandit Deendayal Upadhyay. BJP president Amit Shah will also address a workers' congregation which will begin at 10 AM with a musical concert of singer Kailash Kher. An estimated 10 lakh party workers from 65,000 polling booths spread across 230 assembly constituencies in Madhya Pradesh will take part in the programme. Chief Minister Shivraj Singh Chouhan, party organisational general secretary Ramlal and central and state ministers and other senior leaders will attend the congregation. An exhibition hall named after BJP leader and former union minister late Anil Madhav Dave has also been set up at the rally site. The exhibition venue will showcase the journey and works of BJP stalwarts, including former prime minister late Atal Bihari Vajpayee, Prime Minister Modi and Chouhan.